Wag the Dog and Company is a dog training and behavior consulting company, serving the greater Milwaukee area. We offer a range of services to guardians and their companions including group training, private in-home training and behavior consulting, socials, and dog walking. Due to high demand of our services, we are looking to add to our team! To learn more about what we offer and how we work with dogs and their humans, browse our site. 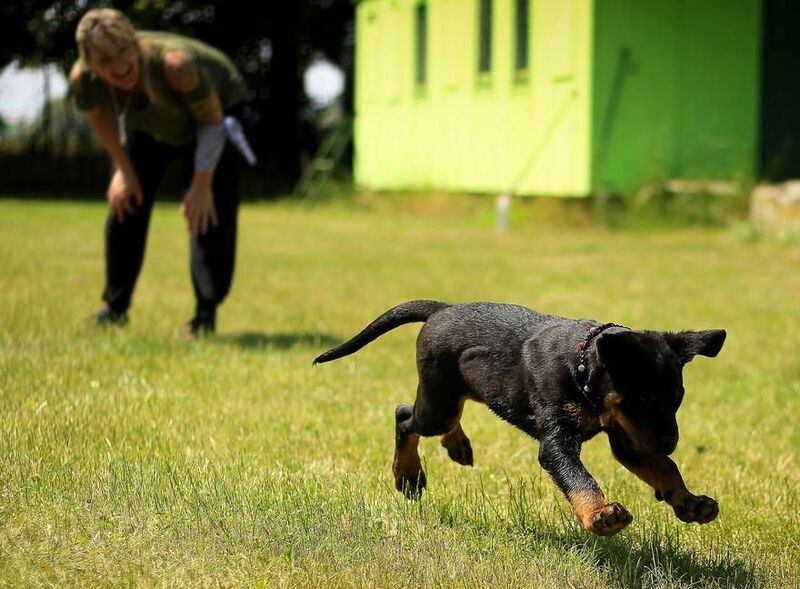 ​Successful Dog Training Associates will be committed to using only scientifically-based, force-free training methods and comfortable working with dogs of all sizes, supervising dog-dog play, and coaching dog guardians. Assist Dog Trainer(s) in group classes. Assist with set up, tear down, and maintenance of training site(s). Deliver quality service for guardians and their companions in a friendly, informative, and non-judgmental manner. Maintain a professional and friendly demeanor and provide excellent customer service. Establish priorities and work independently. ​This is not an exhaustive list of all responsibilities, skills, duties and requirements, efforts or working conditions associated with this job. While this is intended to be an accurate reflection of the current job, management reserves the right to revise the job or to require that different or additional tasks be performed when circumstances change, for example, emergencies, changes in personnel or workload, rush jobs, or technological breakdowns or developments. Provides services during inclement weather. Drives personal vehicle to work sites on a regular basis. Ability to lift at least 50 pounds; push and pull heavy objects; bend, twist, reach; perform strenuous physical activities, including frequent walking, running, standing, bending and stooping. Some college and behavior/training certification preferred. ​Excellent written and oral communication skills. Knowledge of basic office equipment and computer skills. The business owner is an Academy for Dog Trainers graduate, and all training that takes place at our business follows the CTC code of conduct LINK. Candidates must be committed to following operating scientifically-sound, force-free, reward-based methods with clients and dogs at all times. Ideal candidates would be interested in pursuing or be actively working towards certification from a well-recognized positive dog training program. E.g. Academy for Dog Trainers, Karen Pryor Academy, Peaceable Paws and/or a CCPDT-issued certification. Certified candidates. Additional hours and opportunities are available based on certification and hands-on experience. Position Training Process: Training associates must complete a probationary period of at least 3 months; throughout this period, they will shadow and assist senior employees during group classes, socials and dog walking along with assisting in select private client cases, and learn how to use our online database and our protocol for communicating with clients. ​After completing the probationary period, Dog Training Associates will be prepared to assist basic obedience group classes and private sessions, provide dog walking services, assist with supervision of dog socials, and efficiently and effectively communicate with clients. Position Status: Currently NOT accepting applications. A first line stating, "I have read this job description in its entirety and am ready to work!" Your volunteer-based animal experience, if any. Your paid animal handling experience, if any. Your availability, and if you are looking for PART TIME or FULL TIME employment. Please DO NOT call, text, or Facebook message with regards to this position. Correspondence that is not via email will immediately disqualify candidates from consideration.